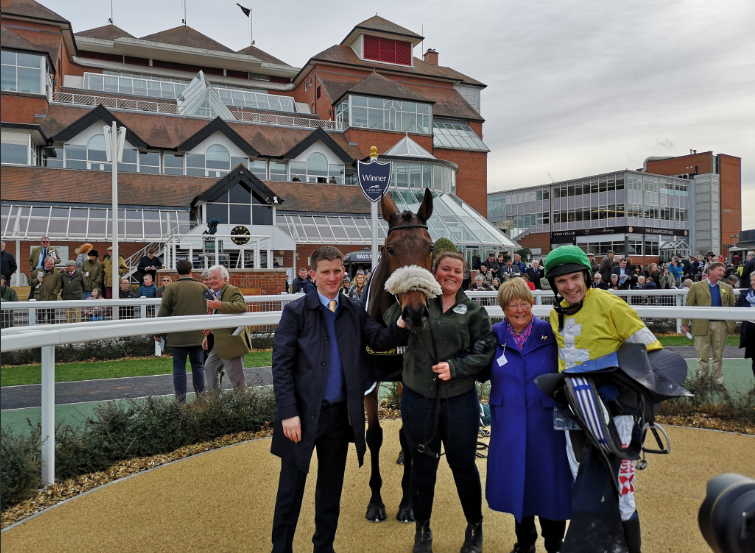 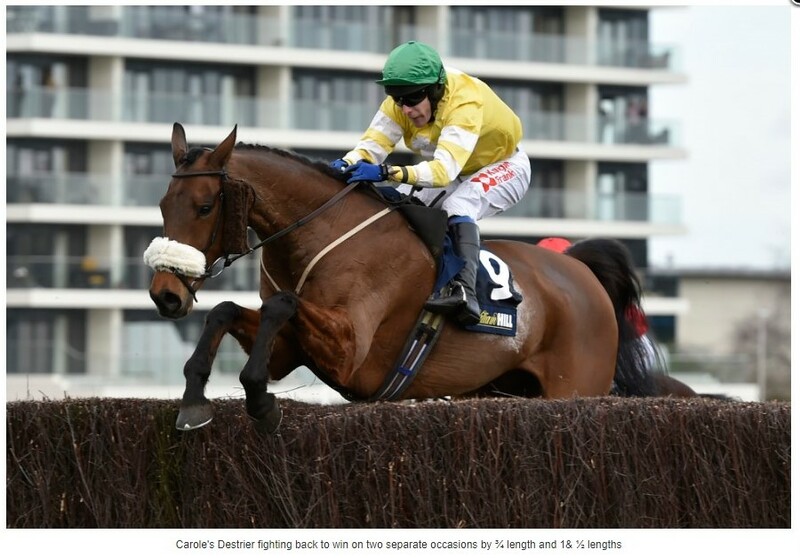 Caroles Destier Has the opportunity to win the stand out moment of the 2018/2019 jumps season at Newbury Racecourse, after fighting back on two seperate occasions in the Mandarin Chase and the Veterans Chase. 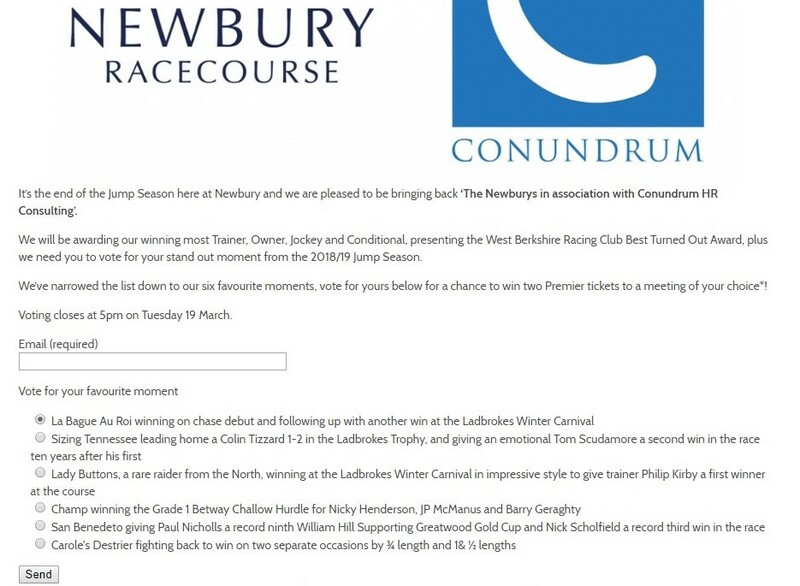 You could also win two premier tickets to the meeting of you choice at Newbury. 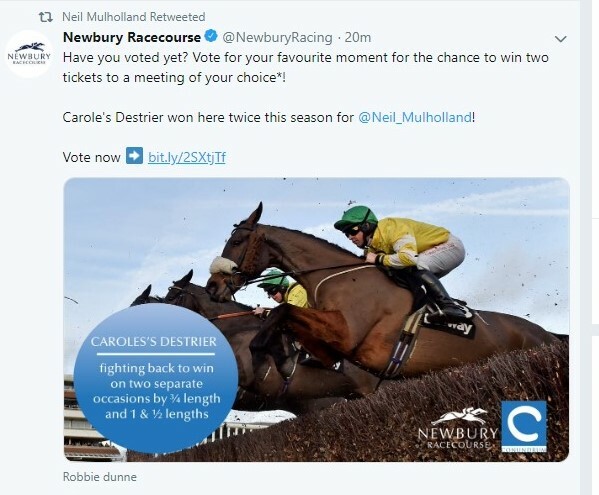 Simply go to the Newbury Racecourse website to enter or look up Newbury Racecourse on Twitter or Facebook.